Dr. Bronner's Peppermint Oil Pure Castile Soap is made with organic peppermint oil and is perfect for everyday bodywashing and cleaning. It's great for bathing and showering, shampooing, shaving and washing your hands. Use it as is, or dilute it with water to increase its longevity. Peppermint Oil Pure Castile Soap also works well with all of your sensitive fabrics, materials and is perfect for cleaning your hand wash only clothing items. Just mix it with water and wash away. Peppermint Oil Pure Castile Soap smells great and will leave your clothes smelling fresh and clean. 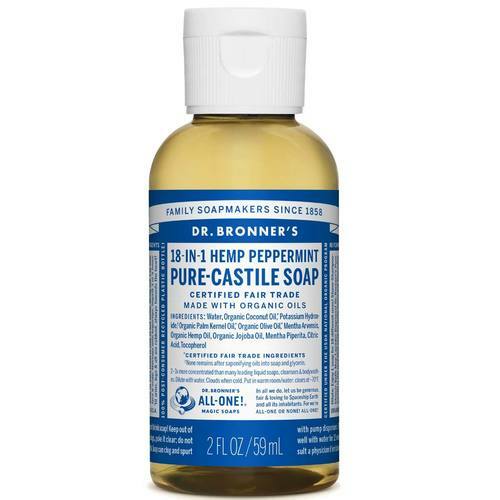 Try your bottle of Peppermint Oil Pure Castile Soap by Dr. Bronner from eVitamins today. Ingredients: Water, Saponified Organic Coconut Oils with Retained Glycerin, Saponified Organic Olive Oils with Retained Glycerin, Organic Hemp Oil, Organic Jojoba Oil, Organic Peppermint Oil, Organic Mentha Arvensis, Citric Acid, Vitamin E.
Powerful soap,but it must be diluted. I wouldn't use this on a child. It makes a great bathroom cleanser and some use it as a toothpaste. What can I say. It's Dr. Bronner. I've been using it for 45 years. It has no equal. 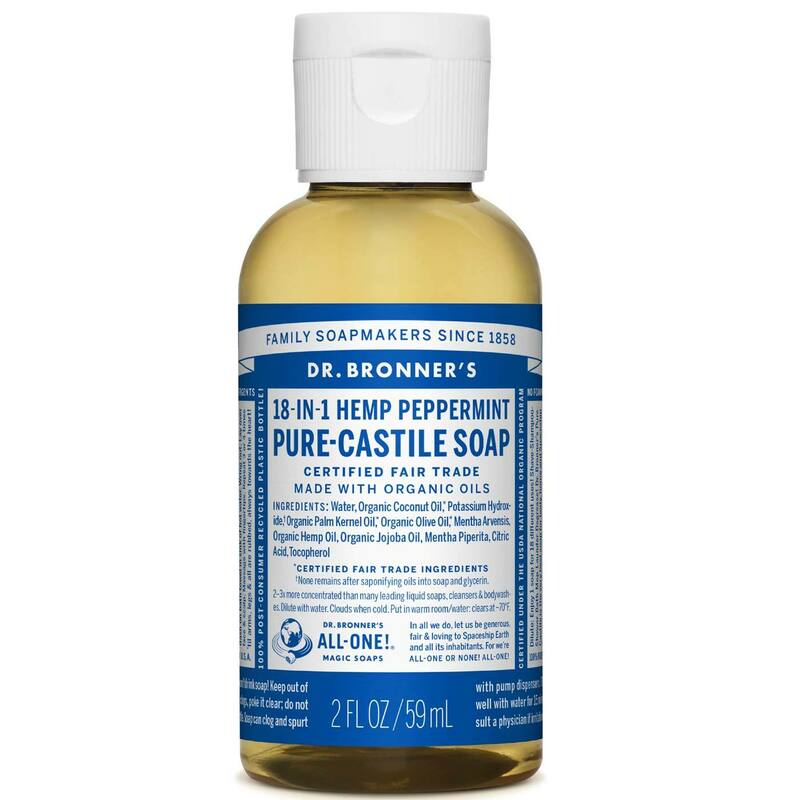 Dr. Bronner's Peppermint Oil Soap is an excellent product. It's so relaxing and refreshing!